Since we don’t know what the ruling will be, it MIGHT alter the trajectory. We hope it will. Apple must have a solid case to take it this far. Qualcomm currently has the best technology out there. We can only hope that after the smoke clears, Apple will again use Qualcomm chips until Intel (or Apple itself) has technology on par with Qualcomm's offering to enable them to ditch them completely without being at a disadvantage. I suspect that's what this has been about all along, Apple planning their own chipset instead of using either Qualcomm or Intel. When Apple testified in the FTC trial that they were only paying QC $7.50 in royalties per handset (everyone was assuming it was waaay more than that) it did seem it might be less about the money and more about the freedom to go it alone without shackles. It was about the fact that Qualcomm wanted to double that fee, in addition to Apple paying for the chips. We read that testimony here a couple of weeks ago, I think it was. Yeah. I don't know about that Mel. I think the $7.50 is what Apple and Qualcomm agreed on (yes Apple is still buying some Qualcomm wifi chips for older model iPhones) assuming the testimony was accurately reported. The $7.5 were the initial payment started during early iPhone switching to Qualcomm, which is calculated on 5% of the iPhone selling prices from Foxconn. And no longer the price Apple paid for many years. It was later raised to $17.5+. In light of all the numbers given out in court, I don't think Apple has much case at all. Initially I thought Apple were after a fixed sum per devices, as all new agreement they (should) have with Ericsson, Nokia and others. But turns out this case isn't about that % or fixed number, it was deciding whether Qualcomm had double dipping and were a monopoly. And if Apple were to use their own baseband, they should have done so long ago. That is roughly $4-$5 billion saved purchasing per year when they could have their own R&D and fab it. They simply decide it was too much of a hassle, and designing a baseband along with its subsystem is something that is even more taxing than CPU design. And it is highly likely anything they have design now will be out of date by the time they have it shipped as compared to their competitors. The pace things are moving from 3GPP to shipping in consumer product is actually quite mind boggling fast. That was the original agreement. 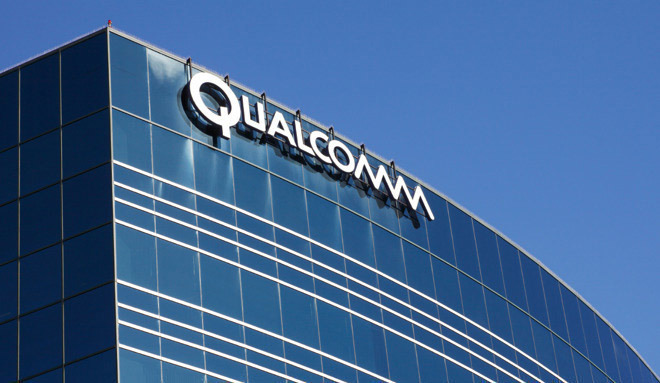 Qualcomm wanted Apple to pay about twice that. Let me put it this way: the FTC case mirrors Apple's complaints almost exactly. The FTC did not bring this case because Apple asked them. They brought it independently. When the US government and America's largest technology company and most of the rest of the industry signs on to a case claiming you're being anti-competitive ... you're being anti-competitive. My personal hope is that the ruling is so harsh on Qualcomm that it destroys the company, leaving Apple and other companies picking up hardware engineering talent that benefits the entire sector.